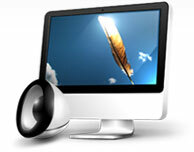 AVCWare - Professional And Free Video Converter, Free YouTube, mp3 tools, Free Ringtone Maker Software. Convert between multiple video formats, include MP4, AVI, MPEG, WMV, FLV, DivX, XviD, MOV, RM, RMVB, M4V, VOB, ASF, 3GP, 3G2, SWF, H.261, H.264 and etc. No Adware or spyware, Free Video Converter is safe and clearly free. Free convert any video to high quality mp3. 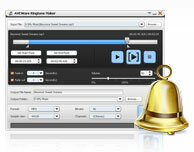 Free convert video/audio to ringtongs with fade-in and fade-out effects. 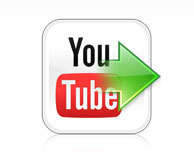 Video tools to convert, edit multiple HD & SD videos for PC user. Tools to rip DVD, create DVD, and backup DVD with lots of features. DVD/video/audio converter, manager, transfer for iPad/iPhone/iPod.